MeatEat was formed to offer a unique reference point on meat and meat farming methods. MeatEat focuses on meat, livestock farming and how to judge the quality of meat products as well as offering a guide to the many welfare labelling systems that aim to inform consumers about the lives and welfare of farmed animals. Many of us want to choose healthy meat products from animals that have led happy productive lives. MeatEat helps you achieve that goal and takes you through choosing, cooking and serving meat to produce fantastic healthy meals whatever your budget, dietary concerns or level of cooking experience. In addition, MeatEat explores key issues in food production: sustainability, additives, organic labelling, food miles etc and walks you through buying meat from supermarkets, butchers shops, farmers markets and direct from the farm, so that you can feel totally confident about your family's meat intake. MeatEat is a resource that pulls together facts, tips, tricks and ancient wisdoms about meat, animal husbandry and cooking to give you a UK centred guide to everything meat-related. Our concern was that there was no single UK resource for interesting features and practical advice on this subject. 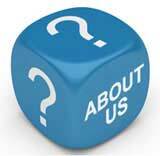 Our features and articles are written by experts - who have experience, or a particular interest in this area. MeatEat was founded by John Rowlinson, the founder of PtS. John, through PtS, is involved in a number of ventures including software and property companies. A percentage of revenue from these activities goes towards funding MeatEat and a number of similar sites. Our focus is simply on having experts create the highest quality information possible that is widely read.